Van Morrison is an Irish singer-songwriter and multi-instrumentalist musician. A real innovator, Morrison’s influence can be seen on the works of countless music artists and singers across the world. His unique musical style incorporated a fusion of R&B, jazz, blues, and Celtic folk influences. After rising to prominence as the lead vocalist of R&B band Them in the mid-1960s, “Van the Man” also has had a highly successful solo career. Born “George Ivan Morrison” on 31 August 1945 in Belfast, Northern Ireland, Van Morrison was raised in a working-class Protestant family. He developed an early interest in music and learned to play saxophone, guitar and harmonica at young age. He formed his first band when was only twelve and went on to sing for a number of short-lived groups. Morrison gained notoriety and fame as the dark, profound, and rebellious frontman for the R&B group Them – an outrageous person who was less willingly manipulated by record executives. After quitting Them in 1967, Morrison moved to the United States and came up with a highly original album, Astral Weeks (1968), which featured extended semi-improvised songs with backing from an acoustic group. The album is now regarded as one of the most explosive, intense and genuinely poetic works in the history of rock music. Morrison got heavily into Celtic roots music and collaborated with The Chieftains. His later work crystallized a deep interest in jazz and he composed songs in a complex, idiosyncratic style that connoted spiritual meanings. 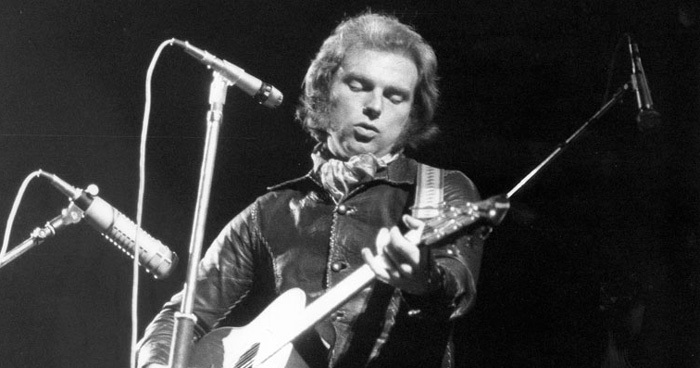 Van Morrison has received six Grammy Awards and the Brit Award for Outstanding Contribution to Music. He was inducted into the Grammy Hall of Fame in 1999 and the Songwriters Hall of Fame in 2003. Morrison was honored with an OBE in 1996. Van Morrison has been married twice. He married his then-girlfriend and aspiring actress Janet Rigsbee to avoid deportation from the US. Their daughter, Shana Morrison, was born in 1970. The couple filed divorced in 1973. Morrison married for the second time to Irish socialite, Michelle Rocca. They have two children together.